Did you recently receive your public notary license but are feeling a little lost when it comes to the law? 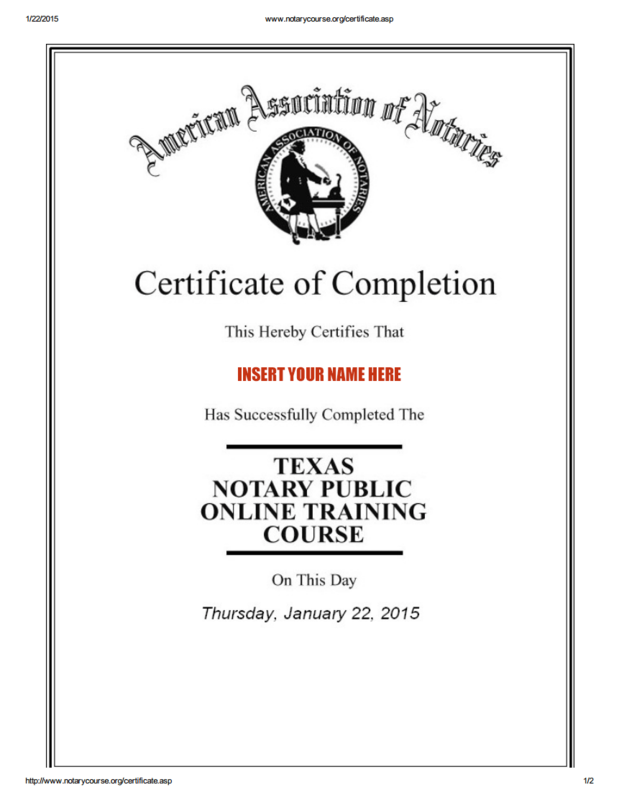 Learn notary public law from a trusted source online. There are several classes online to learn notary law further. I want to note that at Eternal Notary, all of our employees are required to take the certification course from the American Association of Notaries below. We’ve taken all of the biggest ones and am here now to communicate our findings. If you’re living in the North Texas are and need a mobile notary Plano knows well, give us a shot to deliver for you. We’re a 24 hour notary service that will go the extra mile to make sure everything is completed correctly and that you’re satisfied. 1) NotaryCourse.org – The American Association of Notaries is the largest organization of notaries ahead of the National Notary Association. The AAN offers a $25 notary course that takes you through 15 chapters of notary information. The course by the American Association of Notaries is personalized for your state and offers very detailed information about the laws in your state, as well as challenging quizzes to follow each chapter. Be sure to take some high-level notes as you’re reading through the class as you will not be able to review the material while the quiz is live. The online learn notary public law course covers topics such as notary fees, record keeping, the role and responsibility of the notary, authorized duties, prohibited acts, proper notary procedures, the liability of the notary and the employer, electronic notarizations, handling and avoiding difficult situations, refusing to notarize, and finally they wrap it all up the with State Notary Public Exam. The 40 question exam encompasses information from every chapter so be ready to dig deep to receive a passing score. No worries though, as you can always retake it and learn notary public information more thoroughly. Upon completion of the class, you will automatically receive a certificate of completion document to which you could either proudly print out and/or even display on you website, letting your customers know that you mean business. You actually care about properly fulfilling notaries because you understand their importance in our society. 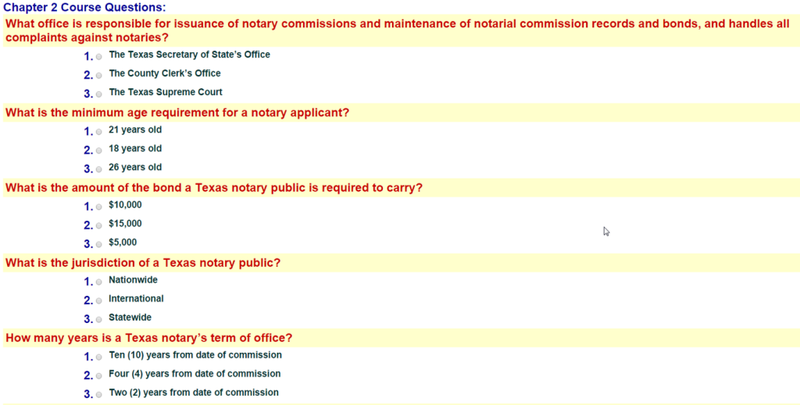 If you’re looking for other options, check out what the National Notary Association has to offer. Also, below is an example of the types of free training videos to learn notary public law you could expect to find online. While it is a little cheesy, it does have some great information. Check it out!